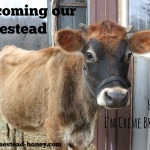 This week, we’ve been helping out at our neighbor’s homestead by milking their Jersey-Guernsey cow, Darling. 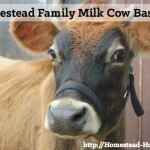 Each afternoon, Brian brings home over a gallon of fresh, creamy milk. 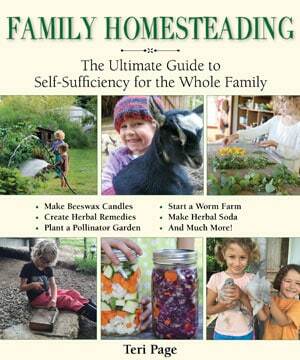 We’ve been making cheese, enjoying kefir, cooking stovetop pudding, and best of all, making butter. 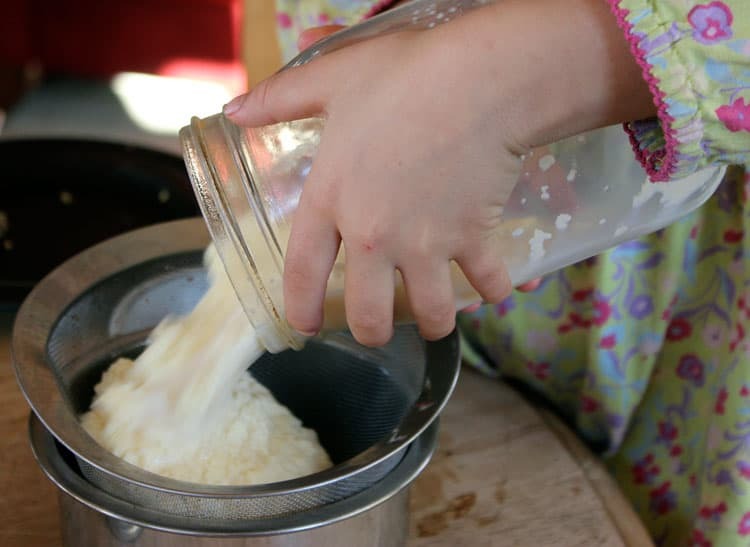 Making butter in a jar is one of the easiest and most satisfying homestead activities that I have done in a long time. It is so easy, in fact, that my six year old daughter Ella was able to complete the entire process from start to finish, by herself! 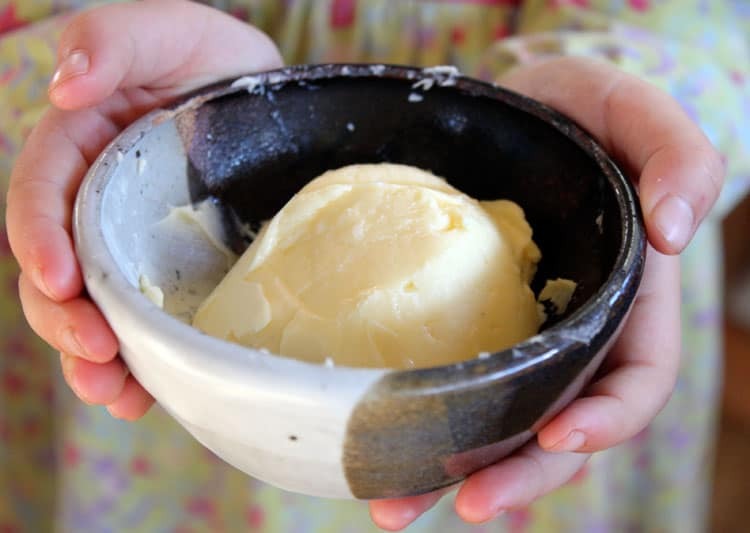 And the taste of fresh homemade butter is so unbelievably good that you simply must try this at home. All it takes is cream, water, salt, and some kitchen equipment that you probably have sitting in your cabinet! First, get yourself some cow’s milk cream. 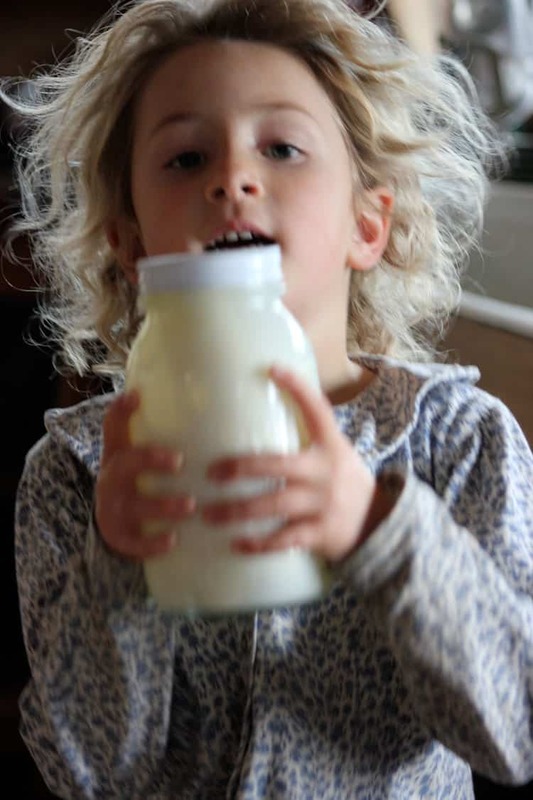 Fresh, raw cream is best, but you can certainly try this with heavy cream from the store. 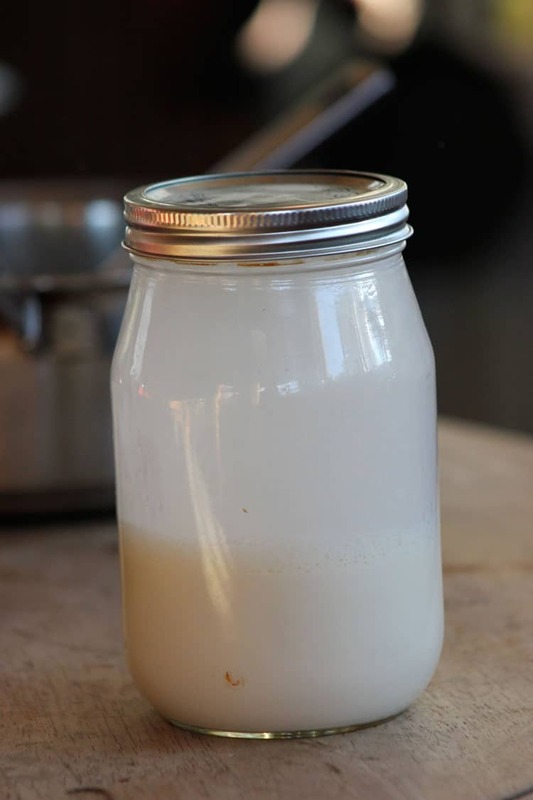 Place the cream in a mason jar, ideally no more than 1/3 of the way full. In this photo, we had already started to whip the cream, so it appears to be more full, but you really want to make sure you have plenty of air space for the “butter concussion” or the splashing action that turns cream into butter. Put the lid on tight and then SHAKE! And SHAKE some more! 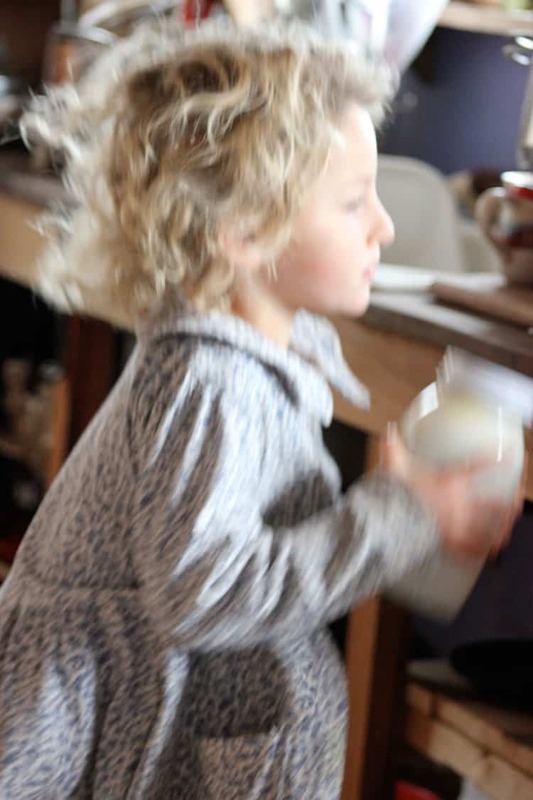 Ella had a hard time with shaking the jar with the strength of her arms alone, so she took to jumping vigorously around the kitchen table, ten times. What a great energy release for a six year old! You will notice the cream start to become more heavy, and thicken, and ultimately the buttermilk will separate from the butter. 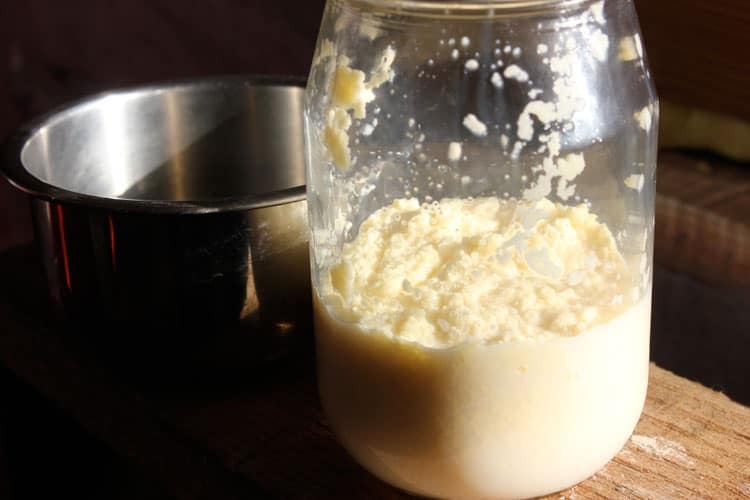 This can take anywhere from a few minutes to a half hour or so, and will go faster if your cream had warmed slightly from refrigerator temperature. You will start to see granules of butter, separated from the buttermilk. Strain the butter into a colander or small strainer, and save the buttermilk for pancake or biscuit making! Now, at this point, most recipes call for “washing” your butter under cool running water. 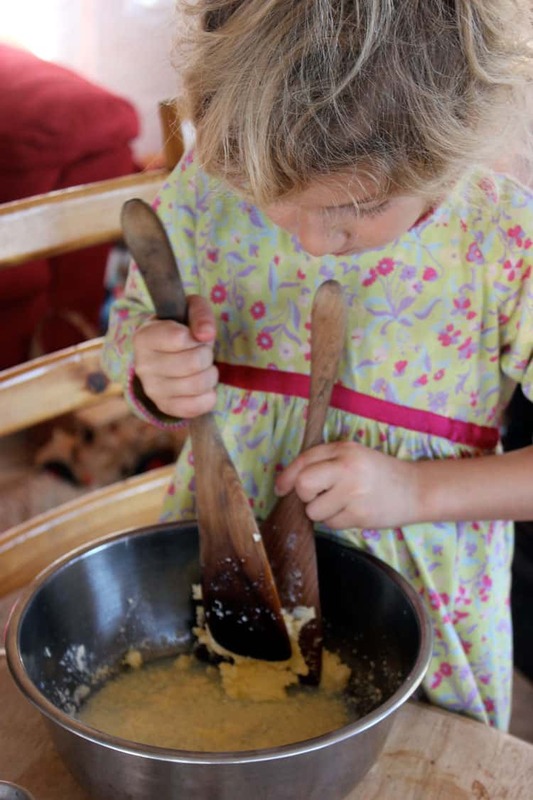 But since we don’t have running water, we simply placed the butter into a bowl of clean water, and used two wooden spatulas to press the butter into a solid mass. You can also do this by hand with a kneading motion. Once you have worked the water out of the butter, you can salt it to your liking. Now grab a slice of fresh bread and enjoy this amazing treat! 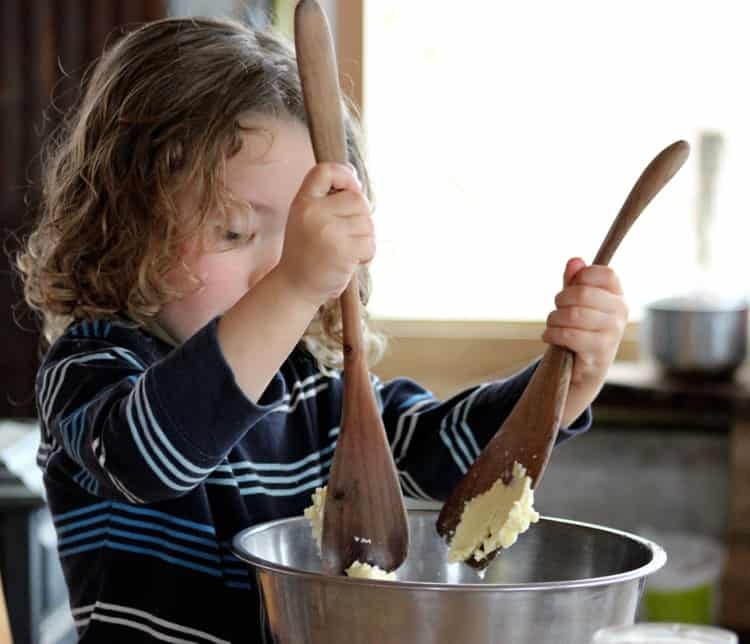 Making homemade butter is a delicious way to get kids in the kitchen. 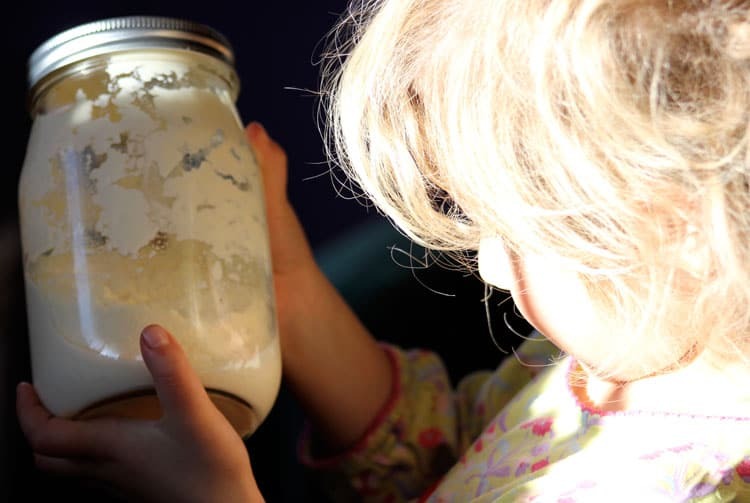 This step by step tutorial will show you how to make butter with just a mason jar! Once you have worked the water out of the butter, you can salt it to your liking. Now grab a slice of fresh bread and enjoy this amazing treat! 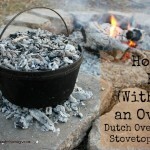 I have seen this on other blogs, and liked the idea of it. But I have never actually tried it myself. But if your little 6 year old can do it, then by golly, so can I 🙂 Thanks for the inspiration! Looks like I may be making some butter this weekend! 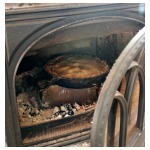 And I’m sure it will go great with fresh buttermilk biscuits! Yum! Making me hungry! Hi Rene, it really is that easy and I definitely recommend trying it! Let me know how it goes! This is amazing! 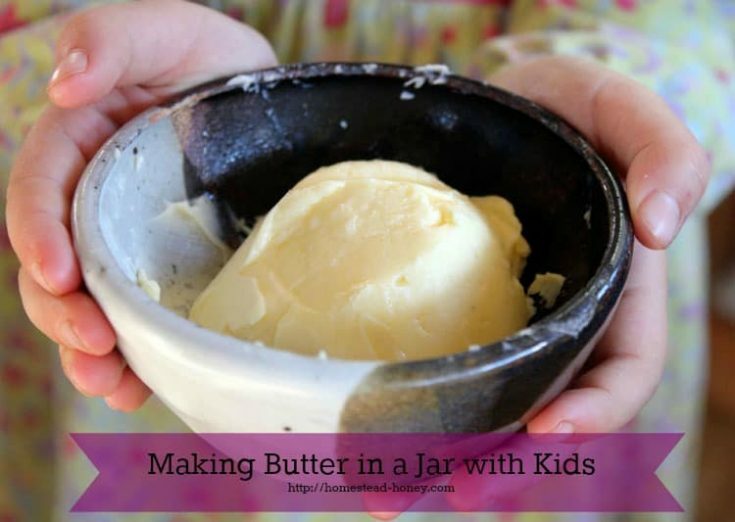 Making butter is still on my to do list, but I never knew you could make it in a jar! How awesome! My kids will love this! I had never tried it either, thinking for sure it would have a lot of steps or equipment. It is so amazing to make butter, and then the taste!! How long will this keep do you think? Well, it is still fresh butter, so you would want to freeze any portions that you will not use within a week or two. Then you can unwrap the frozen portions, and use those! Making sure you rinse out all of the buttermilk will help keep the butter fresher, longer. I am not clear on the directions. After you put the cream in do you fill it the rest of the way with the water? No, you do not add water to the cream. You simply put the cream into the jar (leaving enough space -about 1/2 full in a jar is about right), and shake. The water comes later, to rinse the butter to remove any remaining buttermilk. If you don’t know a farmer to get cow’ a cream, then this might be hard to do. Can I buy cream from the store and do this still? Is the cream from the store different from cream I would get on a farm? The quality of store bought cream can vary quite a bit. Look for a brand that is not ultra-pasteurized. But it should work still. Good luck! The store bought cream works great. But it might whip first. If it does just ad a tablespoon of cold water, and shake more. My kids love this. I don’t understand how to separate the cream from the milk… I buy raw milk occasionally and I can see the line that forms where the cream comes to rest on top of the milk but how do I get that out without the milk? 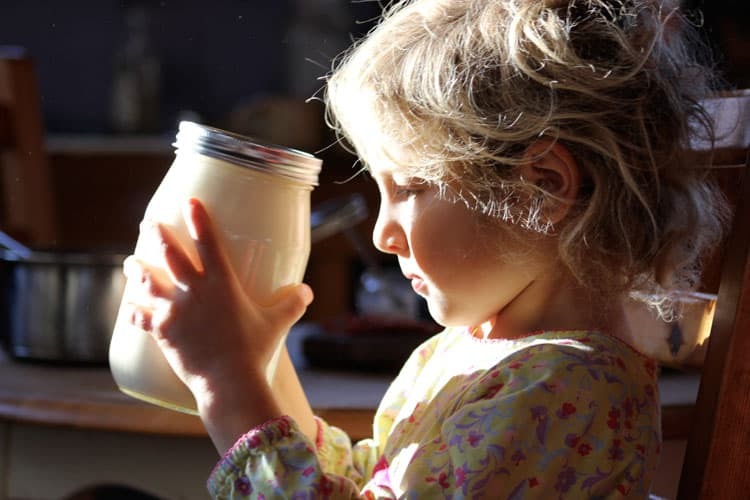 If there is some milk in the jar will it just turn into liquid that will be ‘washed’ out? You are on the right track. 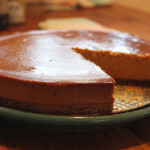 Just let the cream rise to the top (often takes a day), then carefully spoon it out without disrupting the milk below. If some milk gets in,it’s no big deal, but you want to try to get just the cream. This is so lovely. Hope to connect. 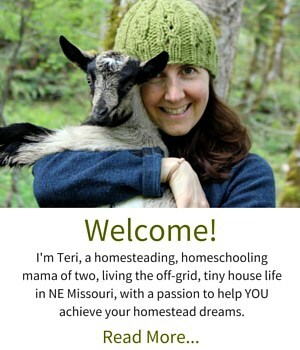 Fellow-Etsy, Fellow-homeschooling mama – I also have two lil ones, a girl and a boy – this is getting creepy. Anyhow, would love to support your venture anyway I can. 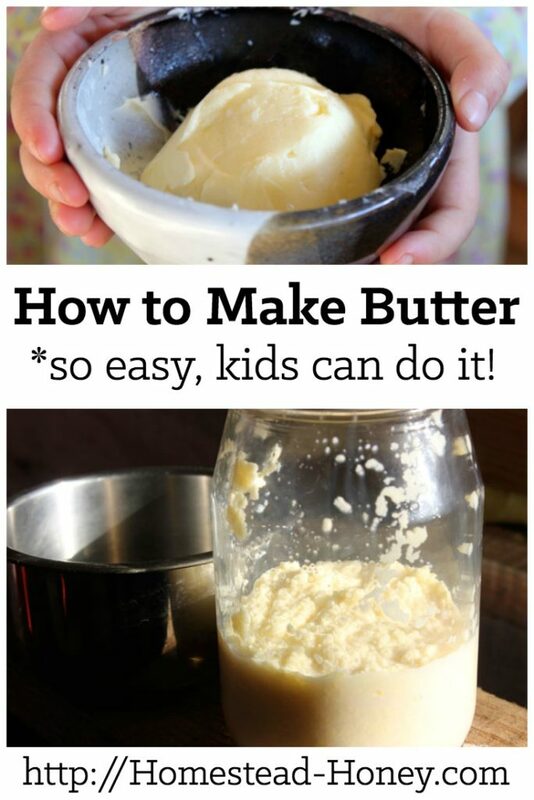 Totally trying this out – my kids LOVE butter and my hubby shouldn’t, but does! Thanks for all you do. So nice to meet you! and thank you for saying hello! I hope you enjoy making the butter and that your family loves it! I’m 36, not 6, but this looks like fun! It is super fun, Jules, and a great workout!